Few Christians have had a greater impact during the last half of the twentieth century than Dr. Francis A. Schaeffer. A man with a remarkable breadth of cultural interest, with penetrating insight into modern life, and with a clear sense of spiritual reality, Schaeffer was also a man who cared deeply about people and their search for truth and reality in their lives. 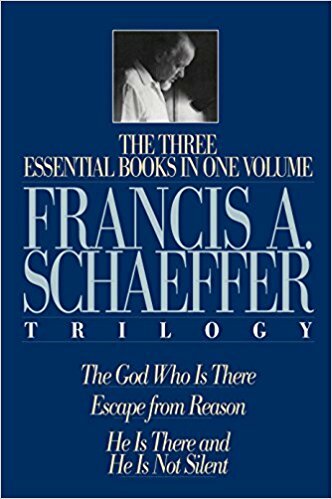 With the publication of this Trilogy, Dr. Schaeffer's three foundational books are available for the first time in one volume. Schaeffer himself considered these three books to be essential to everything he wrote (twenty-three books in all), and it is here especially that we see his ability to understand the deep need of modern man for truth, beauty, and meaning in life. In the first book, The God Who Is There, Schaeffer shows how modern thought has abandoned the idea of truth with tragic consequences in every area of culture–from philosophy, to art, to music, to theology, and within culture as a whole. Escape from Reason, the second book, explains especially how the disintegration of modern life and culture grows from corrupted roots that reach far into the past.